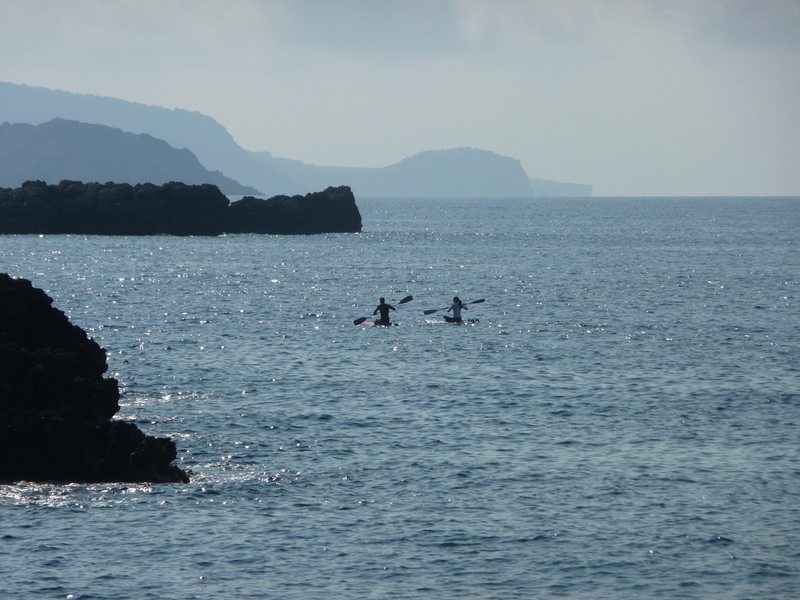 If you go to Menorca on holidays and you want to do some outdoor activities you can’t miss what I consider the Top 10. Apart from the many unspoiled and amazing beaches, you can do a lot of outdoor plans. There are activities for everyone. For couples, athletes, lovers of landscapes and wildlife, for the adventurous and those who have a low-cost budget. You only have to choose the one you like and start to plan your best holidays. Under each activity you have a button to book it today and don’t miss it! Here you have my personal TOP 10. I designed it for everyone who loves outdoor activities and those who like the contact with nature. If you use the MenorcaDiferente coupon you’ll have a discount of 6€ in your reservations of 150€ or more (coupon code: “menorcadiferente”). A route on the Camí de Cavalls is an activity that can be done throughout the year and it’s for all ages. There are 180km of route around the island. There are stretches of all distances and for all publics. It goes from the harshness of the north to the forest landscapes of the south. Some excursions may end on the beach. 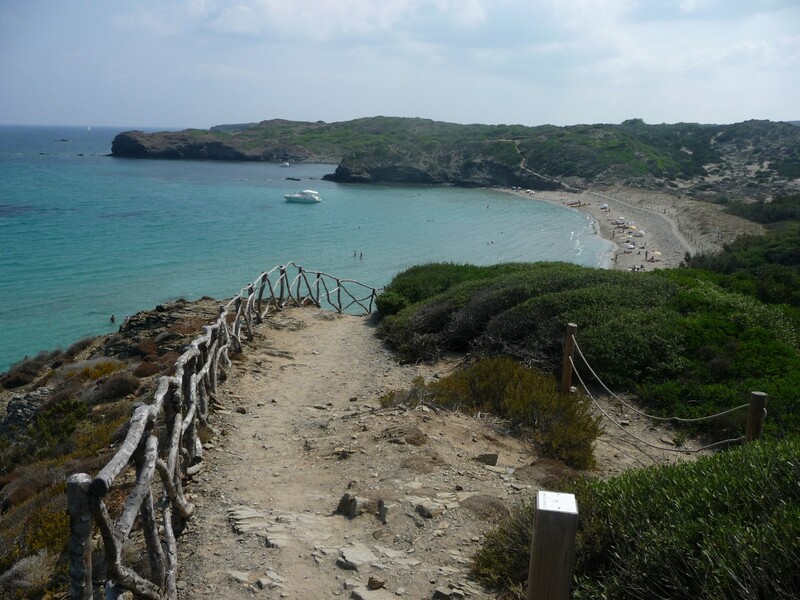 I like specially the large number of routes available (20) and that you can start anywhere in Menorca. 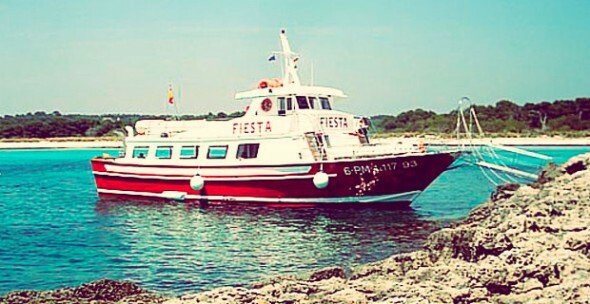 You can finish your route in one of the best beach bars of Menorca. A session of scuba diving is perfect for sport lovers and for those who want to enjoy unspoiled seabed. That’s because fishing is forbidden. You will be 30 minutes underwater. No official permission is required. Crystalline waters and great visibility. I like the feeling of zero gravity underwater. 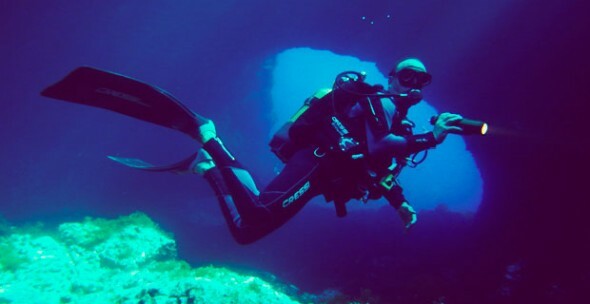 I also like scuba diving because it’s not easy to find, in the Mediterranean, a protected seabed like in Menorca. The flyboard is an activity … indescribable! If you like to feel like you fly and you can pay for it … let’s do it!! It’s the perfect gift for adventurous couples. The first 5 minutes you will feel clumsy but then you start to dominate it and it’s very fun. It’s tired but not exhausting. You practice an outdoor sport. You can have the feeling of flying over the sea. Without risk of painful falls. I like it because it’s a completely different activity of any other water sport. Kayak routes in Menorca allows you get to see caves and hidden corners where you can only arrive by boat or walking like a madman. 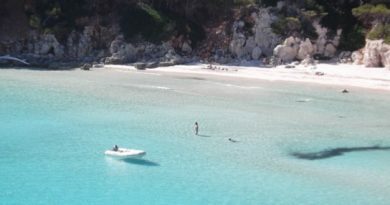 Sailing along the coast and arrive to unspoiled and inaccessible beaches. Enjoy caves only accessible by boat. Practice sport alone or in pairs. If you get tired you can swim. 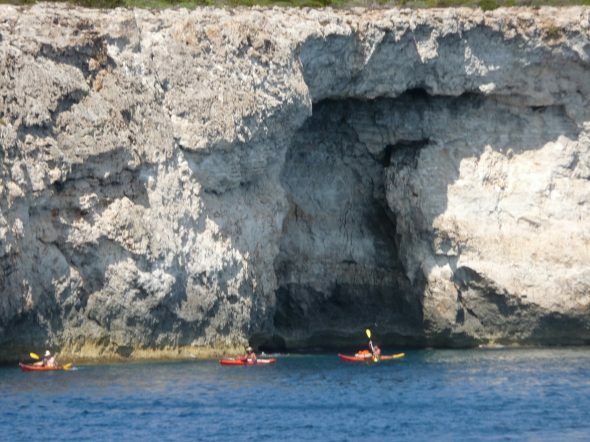 I like it because it’s a fun sport which can be combined with snorkel and gives you the opportunity to see hidden places of Menorca. 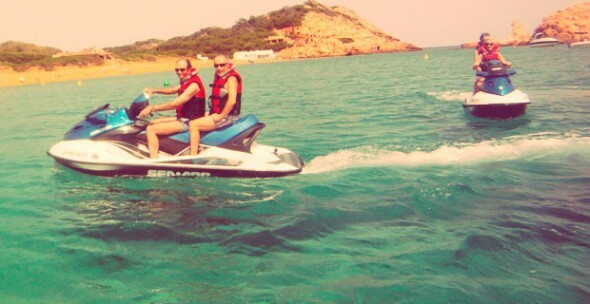 Jetski is nothing new, but is something very fun! If you haven’t tried it, give it a chance. It’s ideal for couples and young people activity. Enjoy the feeling of driving very close to water. 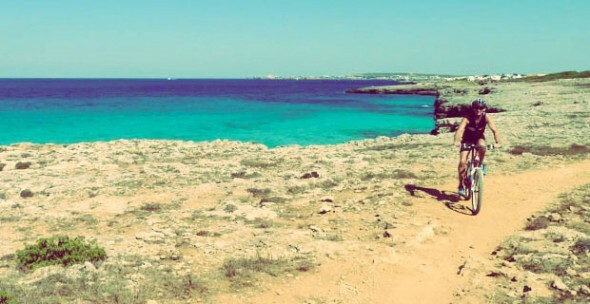 You can even go around Menorca in only 8 hours! I like it because it combines speed and nature. If you do not dare with diving, snorkeling is your sport! It’s simple, safe and for all ages, groups or couples. Enjoy the Marine Reserve from above. If you like down or do apnea, you’ll love Seascooter, it’s like a torpedo. When you finish you get to sunbathe. 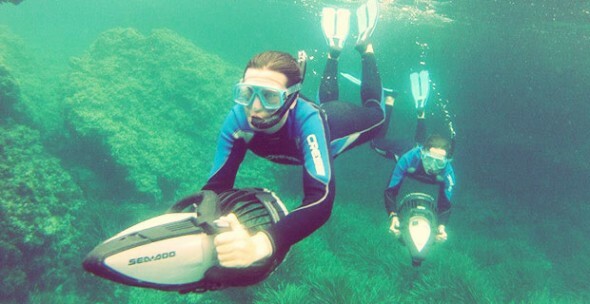 I like that because snorkel in a Marine Reserve is simply spectacular and even more with Seascooter. The Stand Up Paddle has become fashionable in Menorca and in all the Mediterranean coast. It’s a not very intense activity but strengthens muscles and can enhance balance. Combine sport and fun in the sea without being cold. You can stretch out to sunbathe in the middle of the sea. Standing or sitting if you get tired, you can combine it with the snorkel. The Mountain Bike tour along the coast is another activity you cannot miss if you like cycling. There are different stretches with the difficulties and only a few kilometers, so tiredness is no excuse. Cycle touring the coast, with amazing landscapes and always near the sea. You can discover stretches of the famous Camí de Cavalls. At the end you can swim or a visit a restaurant! I like to do it because there are routes for all levels and you can go to many places in no time. The boat tour is an affordable option for those who want to browse and can’t afford a jet ski or a boat option. You can enjoy a day of sailing and visiting beaches, eating paella and drinking sangria on board. It’s ideal for groups of friends or families plan. If you are lucky and come back late, the sunset from the sea is amazing. I like it because it’s a cheap option to browse, visit beaches and also because it’s a very good plan with friends. Fly safe jumping from the Monte Toro, Menorca’s highest point. 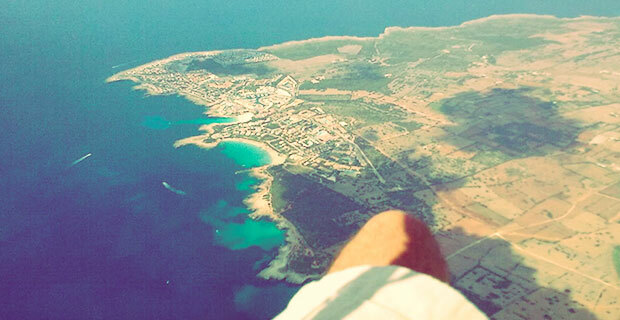 From the air you can enjoy the spectacular views. Enjoy the view of bird Menorca a Biosphere Reserve. You’ll go with a pilot so you only have to worry about the views. 30 minutes of flight. Many worries disappear after an activity like this. I really like it because you have to be brave to try it but if you decide to do is spectacular. If you are panning to stay 7 days in Menorca, this is the guide of the best activities, beaches and restaurants that I recommend you. The guide is organised by days, according the proximity between the different activities and places, but of course, you can switch the activities between the different days with no problem, this are your holidays! Are there any places to go snorkeling at Menorca in March? Could we rent a wet suit or dry suit from someone and go into the water? what are some other high adventure activities on the island for march? March is quite a cold month (in terms of water temperature). The water in march is at 13.5º Celsius – 55.4º F – more or less. You can go to any beach, specially those in the north if the sea conditions are good. I’ve gone swimming on march, but never more than 2 minutes, and without a suit.